Through Lent this year we’re following the ministry of Jesus as he travels towards the Cross. And we’re looking at those moments where he is particularly awkward. Time after time, Jesus shows those around him that there are two different ways to live and think in this world, and he challenges us to choose to follow his way. So there is a way of thinking about Jesus that is the world’s way – and then there is his way. There is a way of thinking about greatness that is the world’s way – and then there is his way. Or about money, or about worship, or about service. And at the resurrection – Jesus asks us which way of life will we choose. We will choose to follow him, or will we choose to live the way that everyone else around us is going. Jesus really is the great revolutionary – and he calls you to follow him. Don’t follow the crowd; walk with him. 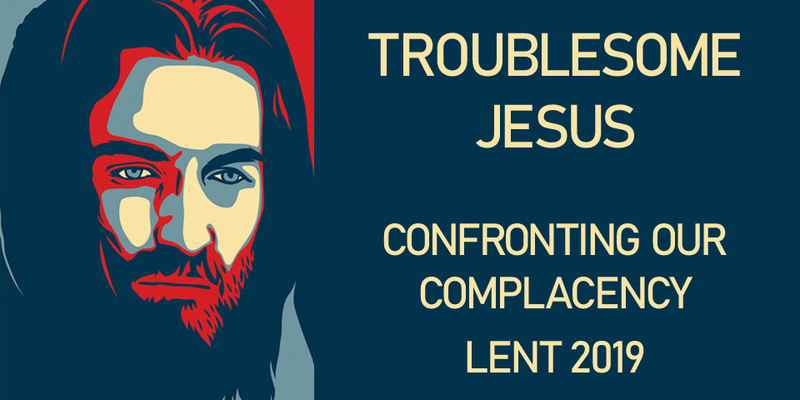 Come and join us on Sunday mornings as we encounter this ‘Troublesome Jesus’ – 10:30am from March 10th onwards.